I have uploaded new fan art to DeviantArt and pixiv. 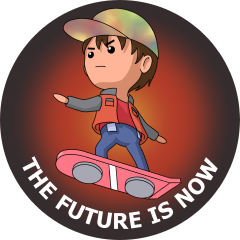 This entry was posted in Fan Art, Films, Western and tagged back to the future, DeviantArt, hoverboard, marty mcfly, oct212015, pixiv by maruserino. Bookmark the permalink.